Calendar on the upcoming sessions of Hearing Preparation and Refugee Appeal Session. Front line workers are welcome to join the sessions with their clients. If you need interpretation please let us know in advance. 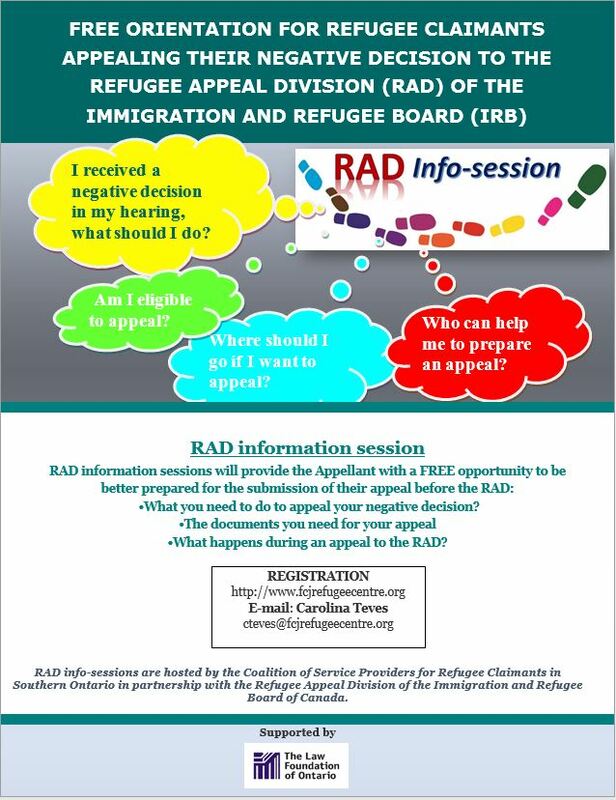 RAD information sessions will provide refugee appellants with a FREE opportunity to be better prepared for the presentation of their appeal before the RAD. Rejected refugees will learn the steps to follow and how to document your appeal before the Refugee Appeal Division (RAD). RAD info-sessions are hosted by the Coalition of Service Providers for Refugee Claimants in Southern Ontario in partnership with the Refugee Appeal Division of the Immigration and Refugee Board of Canada. 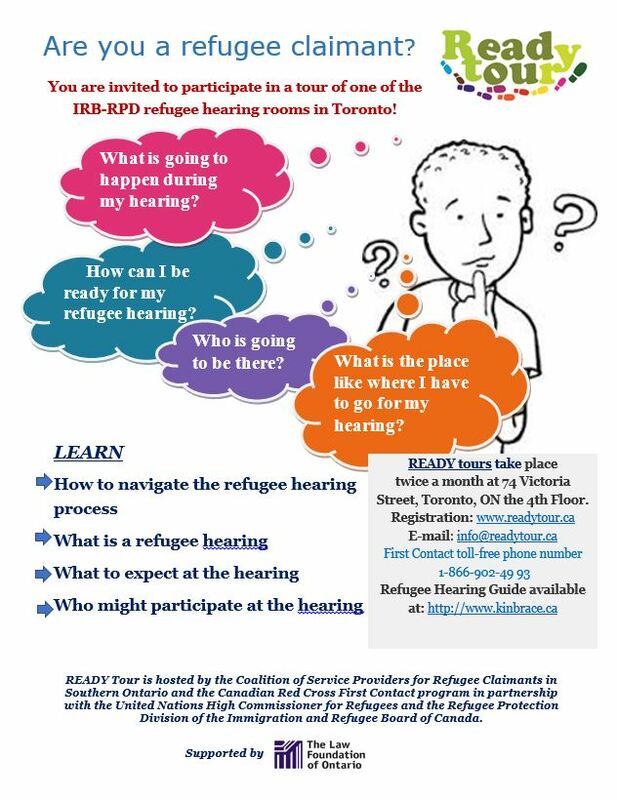 A READY TOUR provides Refugee Claimants with a FREE opportunity to be better prepared for their hearing, see a hearing room, learn what happens at the hearing, and ask questions about the process.